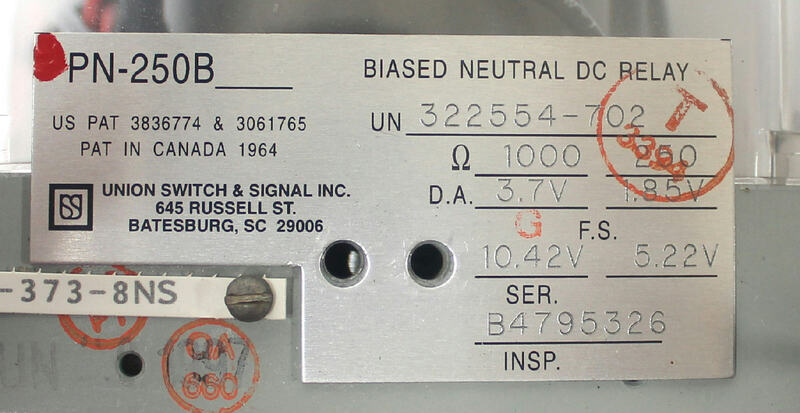 Up for sale is a used Ansaldo STS / Union Switch & Signal Inc. PN-250B Biased Neutral DC Relay. It was pulled from working condition. It shows signs of use. We have a large number of these in stock, please contact us if you are buying in bulk. 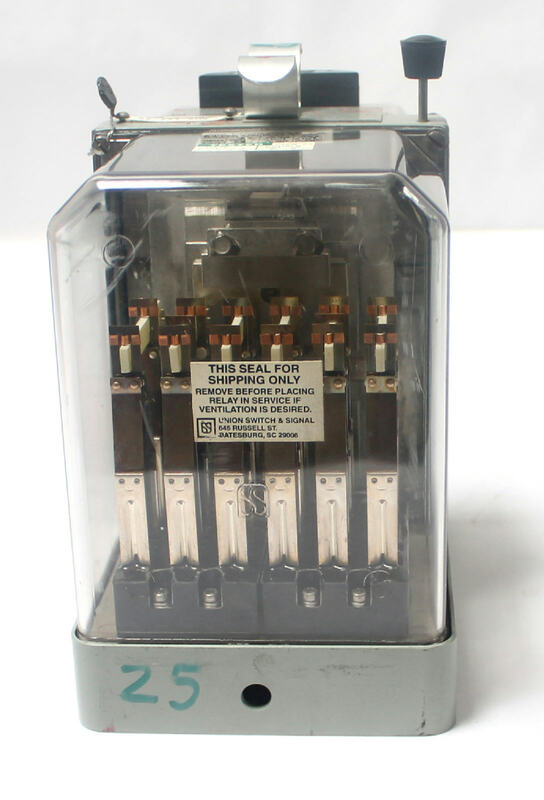 The PN-250B relay is a biased relay designed for use in line and logic circuits. 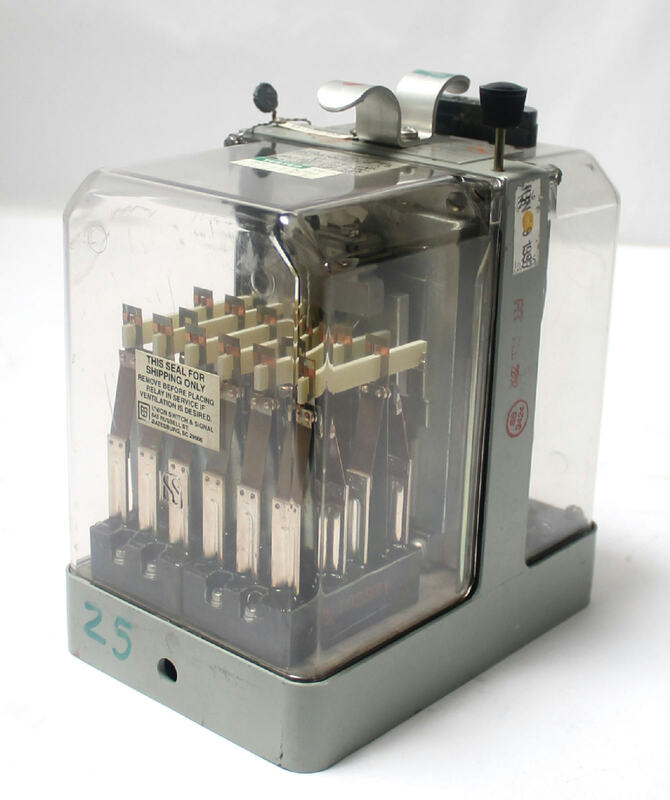 It is used in place of the PN- 150B relay when additional contacts are required. Coils of this relay may be externally connected in series or in multiple. 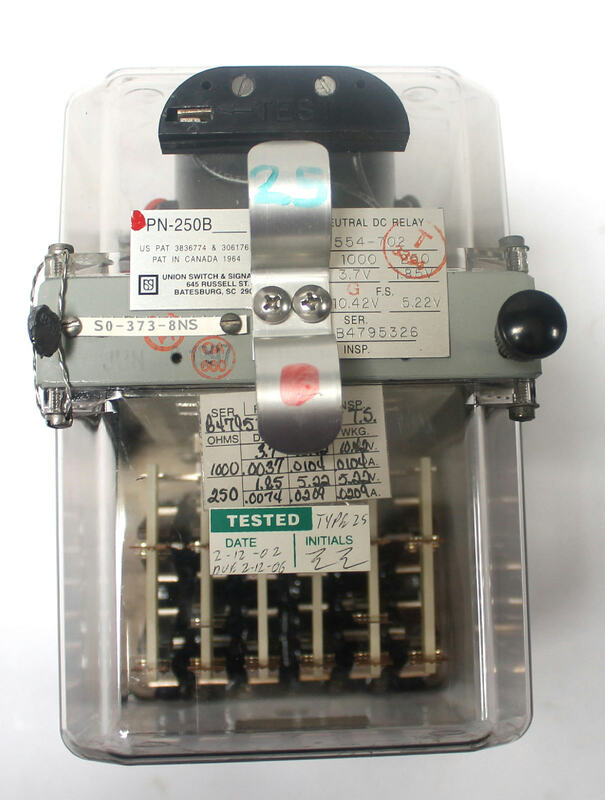 For a relay that operates on lower energization values, the PN-250BE relay is recommended. 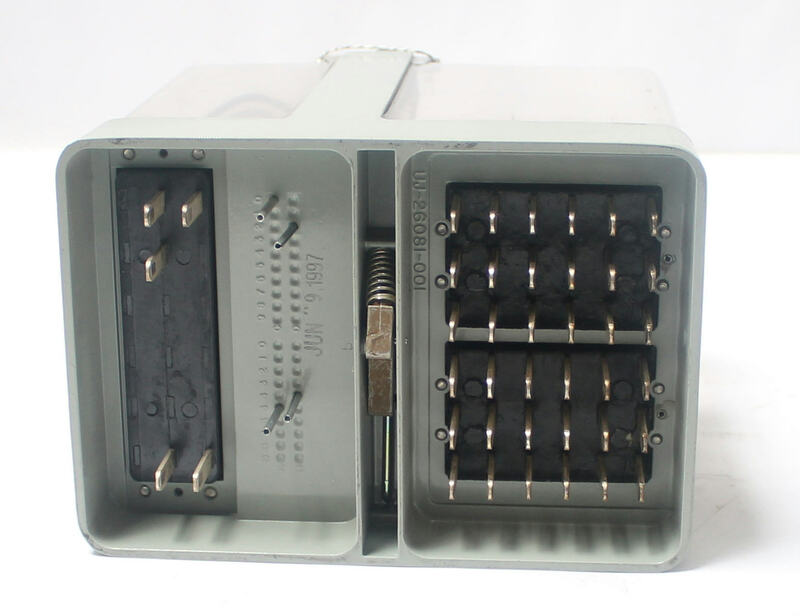 Contacts of the PN- 250B relay are standard low voltage silver to silver-impregnated carbon front and silver-to-silver back. 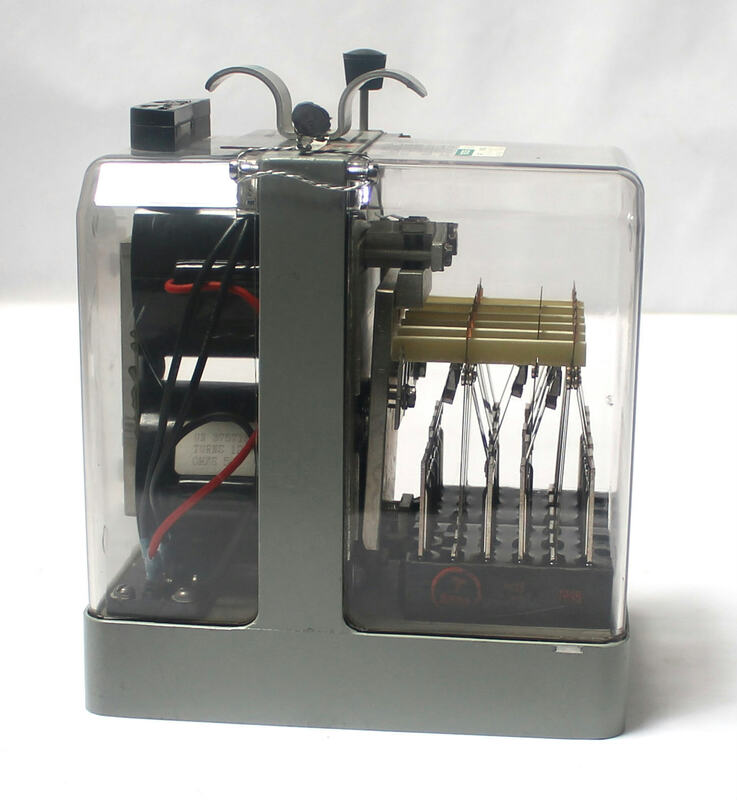 All PN-250B relays incorporate Lexan® covers.